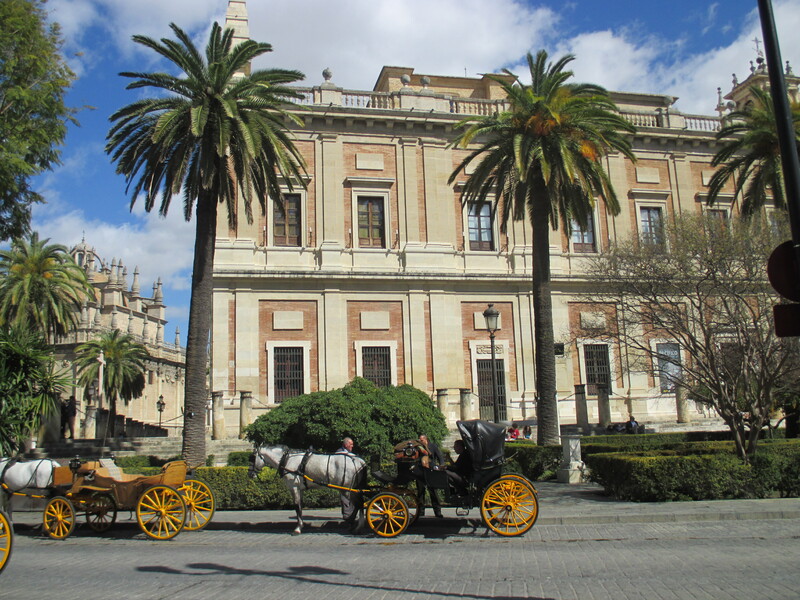 Pasamos una tarde estupenda en una de mis ciudades favoritas, Sevilla. Hacía un día perfecto. 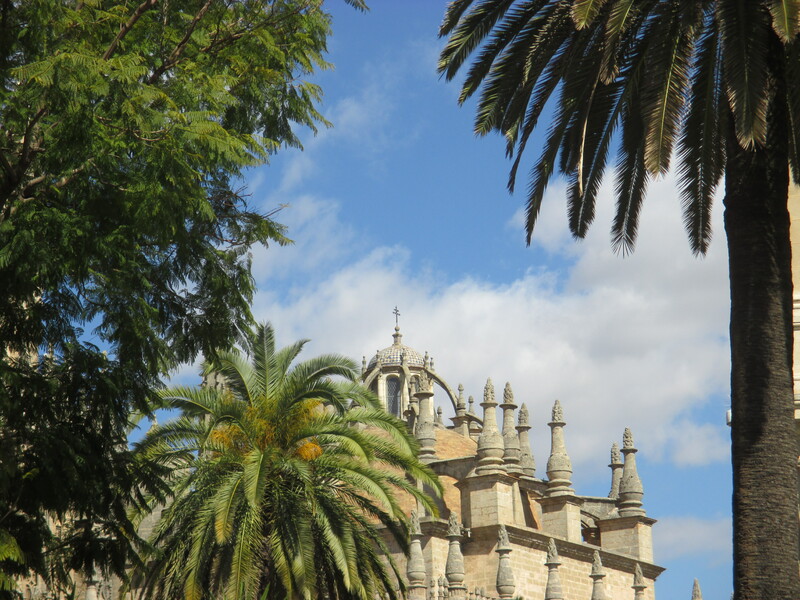 We spent a fantastic afternoon in one of my favorite cities, Sevilla. The weather was perfect. 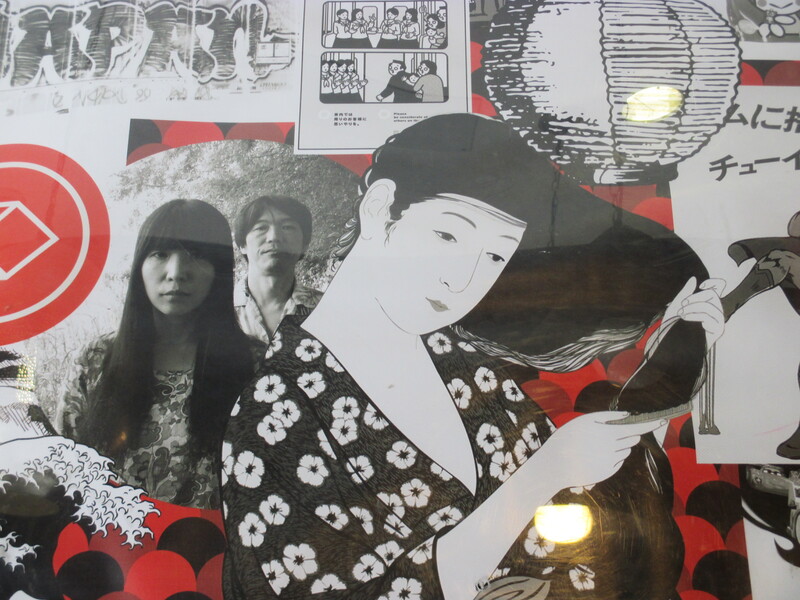 Aprovechamos para disfrutar de una copa de Tío Pepe y sushi que armonizan de maravilla en el Restaurante Akira – Sushi Bar, Calle Almirantazgo, 8, cerca de la Catedrál. 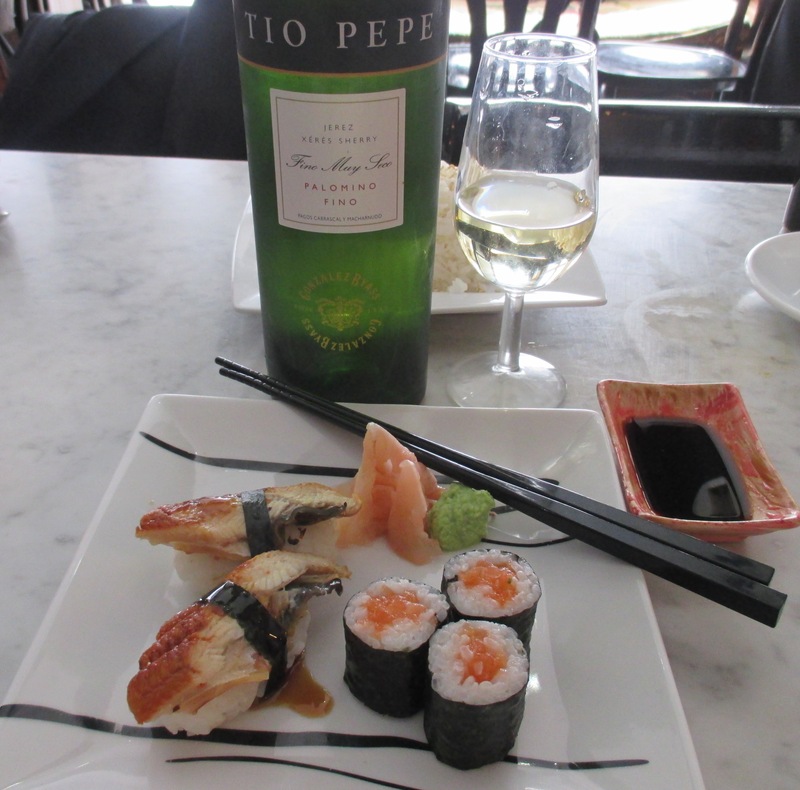 We took the opportunity to enjoy a glass of Tio Pepe, along with some perfectly paired sushi, at the Akira -Sushi Bar Restaurant which is located at #8 Calle Almirantazgo, near the Cathedral. Después despacito de vuelta a la estación de San Bernardo para coger el tren de vuelta a El Puerto. No me canso nunca de esta ciudad maravillosa. Afterwards, we slowly made our way to the San Bernardo station to catch a train back to El Puerto. I never get tired of this wonderful city. What a wonderful way to soend an afternoon, Vicky! Seville is certainly at its best right now 🙂 I love sushi (and sherry, of course!) but I haven’t been to this restaurant, so many thanks for the tip. I hope the Sevillanas party this weekend goes well.